The AmDTuning.com with Cobra Exhausts team will look to maintain the fine form it showed prior to the summer break when the Dunlop MSA British Touring Car Championship season resumes this weekend at Snetterton. The West Thurrock-based team enjoyed a stellar weekend at Croft last month during round five, with drivers Ollie Jackson and Ant Whorton-Eales coming away from the trip to North Yorkshire with four points finishes between them. Ollie in particular heads for Snetterton on a high, with the Tamworth-based racer having scored his best result since the 2012 season last time out; a ninth place finish also being the best finish to date for the team’s Audi S3. The 33-year-old took part in the opening day of a two-day long official test at Snetterton earlier this month, completing more than 70 laps and posting what would turn out to be the seventh best time overall. “Snetterton is one of those circuits that is always quite challenging but we go there feeling positive,” he said. “We obviously picked up some good results at Croft before the summer break and also showed strong pace during testing, which I think sets us up well for the weekend ahead. “During the test, we worked through various things to allow us to improve the car even more, and there are a number of things that we plan to do in practice to keep refining the car. I have no doubt at all from the work that we’ve done that we’ll have a strong car on race day and our main focus has to be on qualifying well to put us in the best position possible for the races. 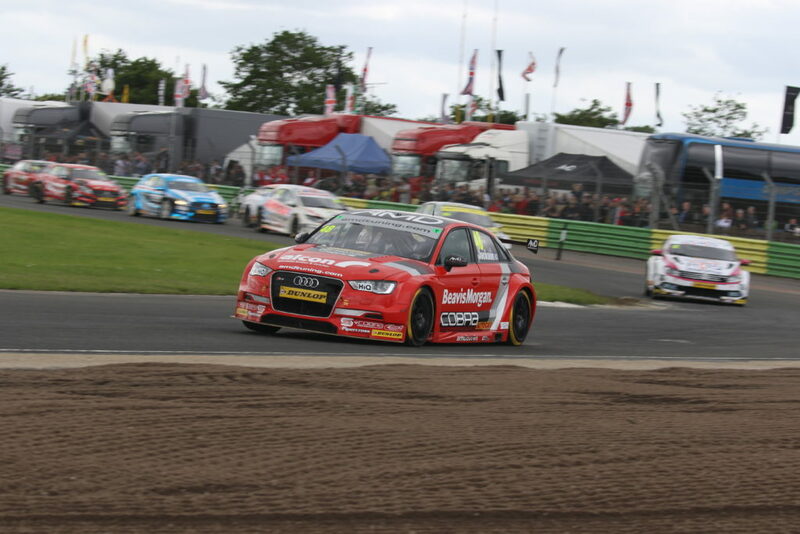 Team-mate Ant also scored his best finish of the season at Croft, with the Lichfield racer just missing out on breaking into the top ten for the first time in his BTCC career. The reigning Clio Cup UK title winner has shown flashes of his speed in the Audi so far this season but has also endured his fair share of misfortune, which leaves him playing catch up in the battle to secure the Jack Sears Trophy for top rookie. “The opening half of the season was full of ups and downs, but we showed how good we can be at Croft and I can’t wait to get back in the car this weekend,” he said. “It seems like six months since we last raced, never mind six weeks, and I’m looking forward to getting out on track at Snetterton to see if we can build on the pace we showed last time out. Team boss Shaun Hollamby admitted that the team was heading for Snetterton in optimistic mood after a busy summer period, with hopes high of both drivers challenging for points. “We’ve been flat out since Croft repairing damage to Ant’s car, going testing and then preparing for this weekend – so it hasn’t been much of a summer break!” he said. “Although it’s a shame that the damage to Ant’s car meant we could only run one during the Snetterton test, we were able to learn a huge amount and it leaves us confident that we can have a strong weekend this weekend. “The aim is very much to build on the results we secured at Croft, and we have now shown that we have the pace in the car to fight for points on merit. There is the possibility of rain which would also work in our favour, as both Ollie and Ant have shown strong pace in wet conditions. “We’d like to welcome onboard a new sponsor this weekend in the shape of Ed O’Shea and EOS Resourcing Group and as we prepare to go racing again, I also want to thank Cobra Sport and all our existing sponsors for their continued support. “Away from ourselves, it’s also pleasing to see that the three drivers who were involved in the accident at Croft before the summer break are all doing well with their recovery from the injuries they sustained. It’s also pleasing to see the positive reports that have come out of the investigations carried out by the governing bodies into the incident.